Patent rights depend on many interpretive elements, including even the patent subject matter and the question of who owns the right. Such elements lead to varying legal approaches in different countries and, since it is in the nature of inventions to be international, knowledge of patent law in a variety of national jurisdictions is an indispensable asset for patent lawyers and their clients. 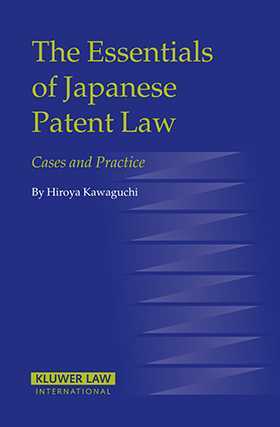 This book provides that essential knowledge as it relates to the patent laws of Japan together with English translations of main provisions of the Patent Law. It provides a systematic and concise analysis of theoretical issues and information of practical usefulness (such as examination guidelines of the Japanese Patent Office) as well as analysis of important case law. procedure before Japanese Intellectual Property High Court. The Essentials of Japanese Patent Law clearly explains the way in which patents may be registered and protected under Japanese law, and will be of inestimable value to counsel for inventors and enterprises everywhere. No patent lawyers or other intellectual property professionals will want to be without it.